We found ourselves trooping to Nasi Lemak at Robinsons Galleria last Saturday because we wanted something different to eat. It seems we made the right choice because we went home full and satisfied. We ordered the following: Chicken Satay, Steamed Fish Fillet w/Tofu & Tausi and Beef Rendang. The chicken meat was so soft; me thinks this was boiled before it was grilled, but I’m not really sure. It’s the sauce that gives this chicken dish its distinct flavor. I ordered this because I like fish and tofu, but I’m not so happy with it. The tofu is bland if you eat it on its own. I liked this better when I had everything (fish, tofu and sauce) in one bite. This is a dish of Indonesian origin. The beef is stewed in coconut milk, fired up with just the right amount of ginger, galangal, turmeric, lemongrass and imported chilli. 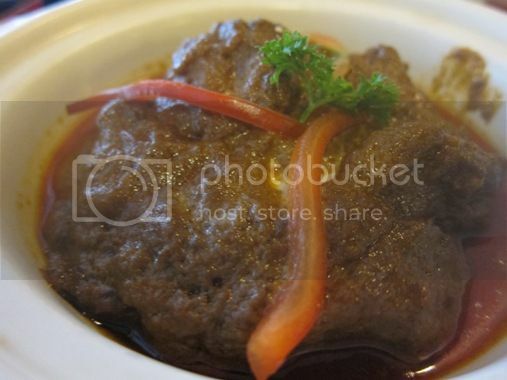 The end result—tasty tender shreds of beef simmering in a rich gravy of herbs and spices. This dish is best eaten with Nasi Lemak rice in order to bring out the best flavor. We ordered this because their menu says this is an all-time favorite. This reminded me of beef caldereta, but this tasted so much better. The beef was so tender and flavorful, and it’s not too spicy. We’ve actually eaten more rice than we should because of this. LOL! Next time, we’ll have this with Nasi Lemak rice. These were refreshing, but we never get to avail of their bottomless offer because there was no space anymore in our already full tummies. There was no violent reaction from hubby, so he must have liked this. We enjoyed our time at Nasi Lemak, and we look forward to visiting this place again. This entry was posted in Food Trip Friday, Malaysian Cuisine, Restaurant Review, Robinsons Galleria, Singaporean Cuisine. Bookmark the permalink. I love Nasi Lemak although I didn’t like their Beef Rendang. I prefer it with less sauce. Visiting from FTF! salap naman! penge nang satay…kakagutom dito! nakakagutom naman, I wanna order chicken satay please! 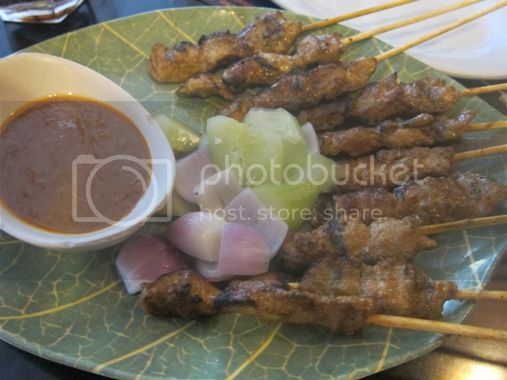 thanks for sharing that place..hope to visit someday..visiting back..
i like the chicken satay .parang kaldereta nga kaya lang the added coconut milk na along nagpasarap .it is good to know that we have indonesian resto in the phils. 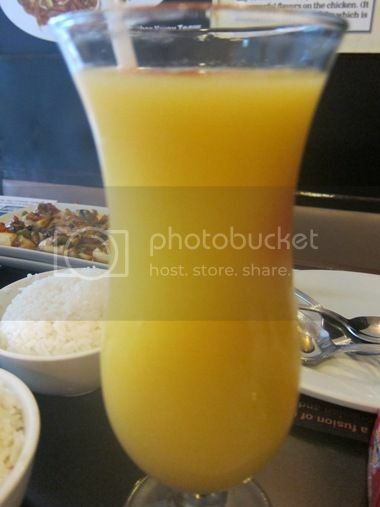 Ang sarap naman ng juice. Very concentrated 😛 Sulit ang price oh! i love beef rendang, too. 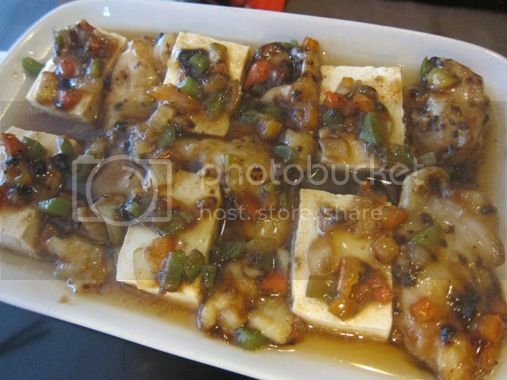 we [Pinoy] seldom use coconut milk on beef dishes and this one is something different and delicious. delish…liked the pork barbeque the best, visiting from Food Trip Friday, hope that you can return the visit too. i hope we can go out again for a food trip. 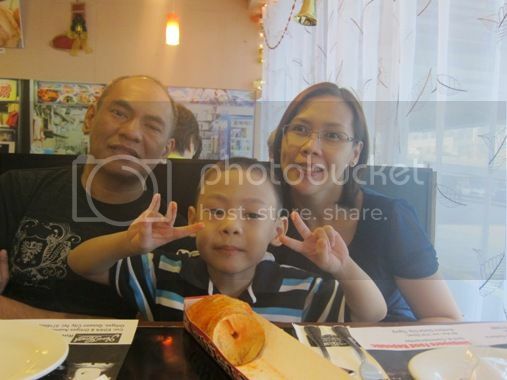 my children suggested to go to Robinson’s too but it’s too far from our place.. all the dishes above look very yummy.. I want to try the Beed Rendang,it sounds so interesting. visiting you back for FTF. Wow! it’s affordable ah. 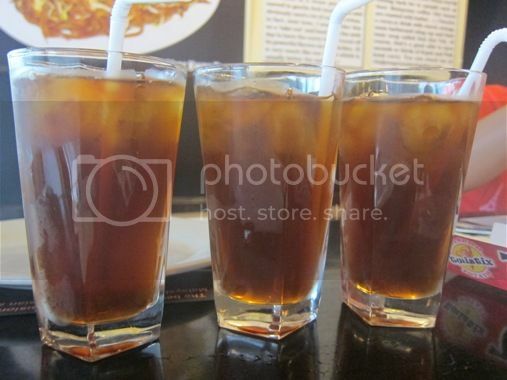 Wish they have a branch near Alabang so we can also try them.